We’ve just been liberated from the 8 inches of snow that just fell on us (there’s nothing more exciting than the sound of the plow truck coming to set you free!) and now they are telling us a possible blizzard is bearing down on us. I mean, really. I know it is January and all, but I think one major snowstorm a week is plenty. But since nobody is consulting with me, the only thing I can do about it is make soup. Lots and lots of warm and wonderful soup. Soup with potatoes and carrots and cream cheese and chives. Soup with BACON. Let’s make soup! One of the things I love about this soup is that while it is for all intents and purposes a potato soup, there are a lot of other veggies playing supporting roles and giving it a richer flavor. Onions, celery and enough carrots to give it that pretty color. All of these get simmered up with chicken broth and potatoes – I love Yukon Gold potatoes for this recipe by the way – and then whirled in the blender until it is mostly smooth. I like to leave a few little chunks, but if you like things perfectly smooth then you be you. Then…then comes the beauty part. Remember the hunk of cream cheese that I swirled into my creamy slow cooker chicken tacos the other day? I used the rest of it in this soup. Creamy, dreamy, delicious. And THEN I garnished the whole thing with a nice thick piece of bacon and some zingy chives. 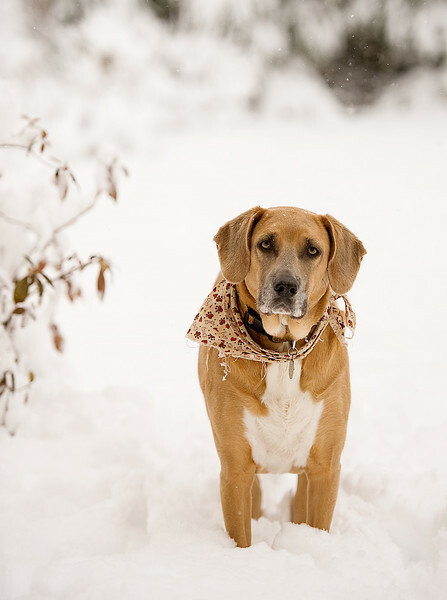 …I am one of those who likes slurping warm cheesy potato soup by the fire and dreaming of spring! Cream cheese is swirled into this warm and wonderful potato vegetable soup for the perfect winter supper! Cook the bacon in a heavy deep pot until crispy. Remove and place on a paper towel-lined plate, leaving the drippings in the pan. Add onions, carrot and celery to the pot. Cook veggies over medium heat until they start to soften, about 5 minutes. Add broth and potatoes and simmer until potatoes are cooked, about 15 minutes. Transfer mixture to blender (or use an immersion blender right in the pot) and blend until mixture is almost smooth – or all the way smooth if that is the way you like it! Return to pot, turn heat to medium and stir in cheese until melted. Stir in chives. 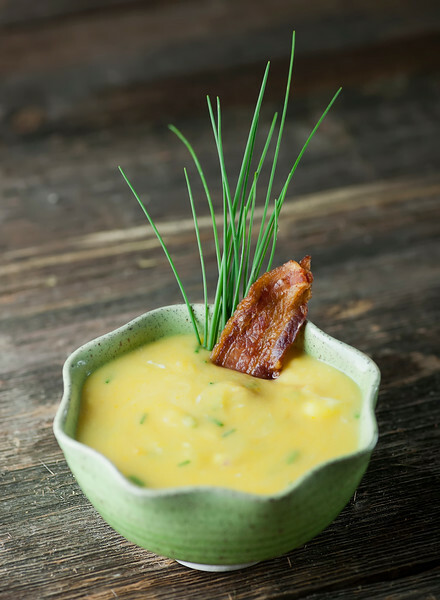 Ladle into bowls, garnish each with a bacon slice and some chives and serve! Just printed this out! Yum! And you guys…? Make plenty of luscious soups and hunker down! Hope this storm isn’t as much as they say it’s going to be… Take care! Made a version of this the other day, but had cauliflower, potato, and cheddar cheese, also added some peas and ham. No cream cheese but added some milk. I’ve been dreaming of spring since 2 January 2015.